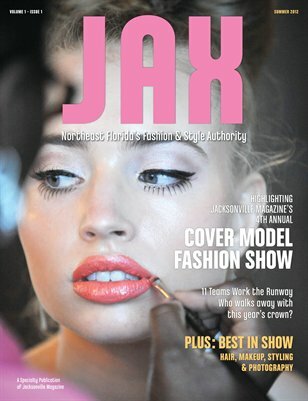 Dozens of Northeast Florida's top fashion and style professionals came together for one night to compete in a runway show that resulted in the winning model and team earning the privilege of producing an exclusive fashion layout and cover for Jacksonville Magazine. Join us as we relive our 2012 Cover Model Search, including photos from the casting calls, team social and the spring show, as well as behind-the-scenes shots from each team. Published by Jacksonville Magazine.